It's not the Tudor we were expecting, but the P01 gives us plenty to talk about. Well, this is not what we were expecting. After weeks of teasers and speculation that seemed to inevitably be pointing at a new Tudor Sub of some kind, Tudor has today revealed the P01 instead. 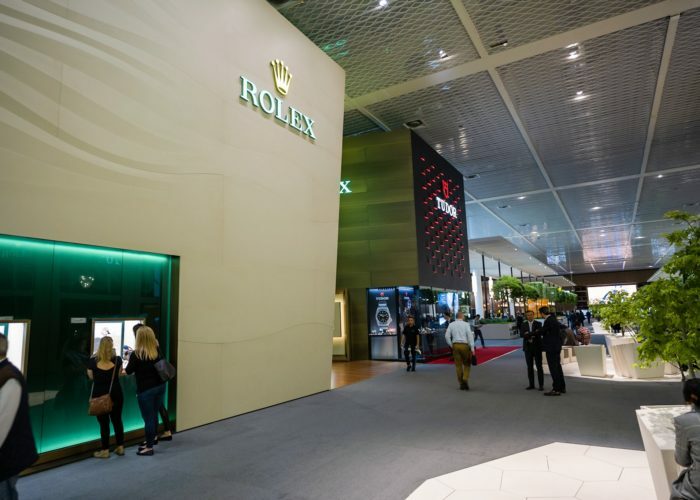 At a glance this one is a clear departure from the direction the brand has been taking in recent years toward clean, heritage derived designs of true tool watches. However, maybe it’s not. 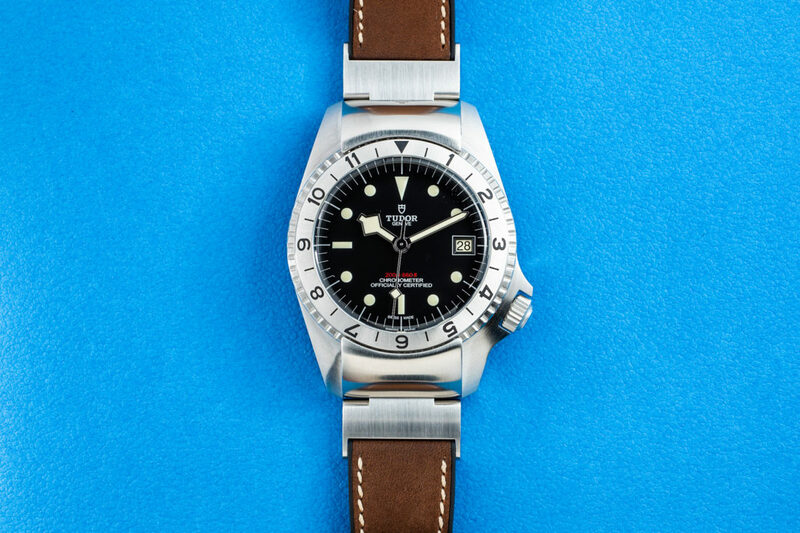 There exists a prototype watch made by Tudor for the US Navy in the 60s, and for better or worse, it’s where Tudor chose to derive inspiration for this release. Right off the bat you may notice something a bit odd about the P01, and that would be the hybrid bracelet which uses a steel clasp at the case, and leather across the wrist. The safety catch at the bezel takes a step further than a regular spring bar, and blurs the line between case lugs, bezel and bracelet. It’s unconventional to be sure and will undoubtedly be a lighting rod for controversy. But it has precedent. The original prototype had the same fixture as an added layer of security between the watch and the functionality on the wrist of the wearer. If you can get past the bracelet and unsettlingly long lugs, you’ll arrive at a 42mm steel case, with the crown placed at 4 o’clock between asymmetrical guards. There’s a 12 hour bezel with 30 minute hashes, onto which the safety clasp locks, assuring no accidental adjustments. 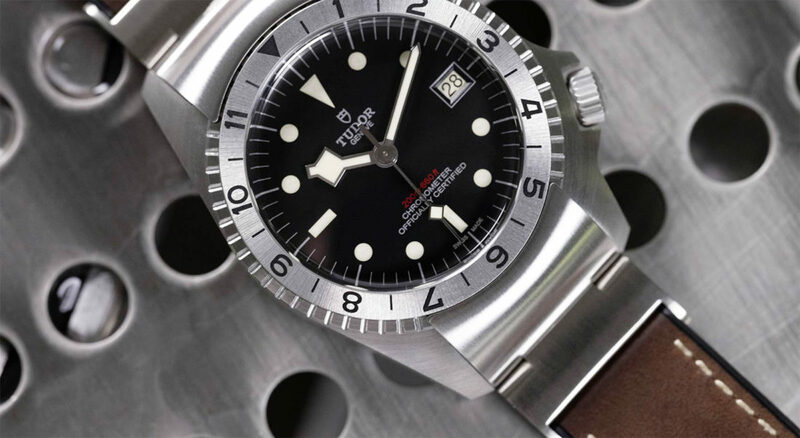 You can see this in action in the video released by Tudor, which pitches this as a watch built for extremes. 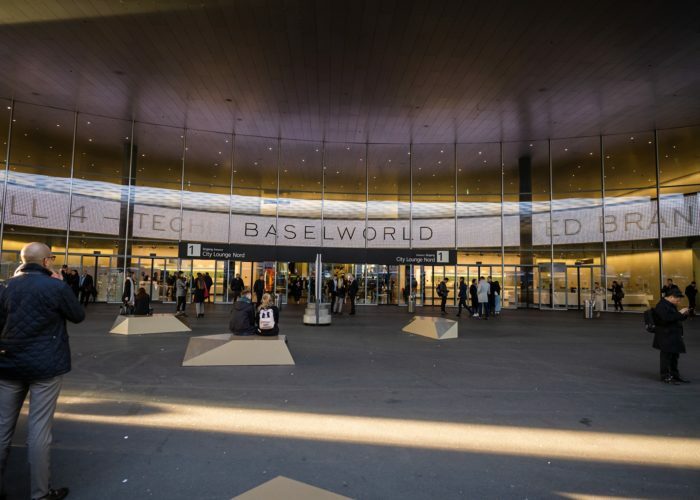 Live image of the P01 from Baselworld, shot by Atom Moore. So what had us so excited for this release? The dial features something rarely seen these days, applied plots of lume, free of any metallic surrounds. 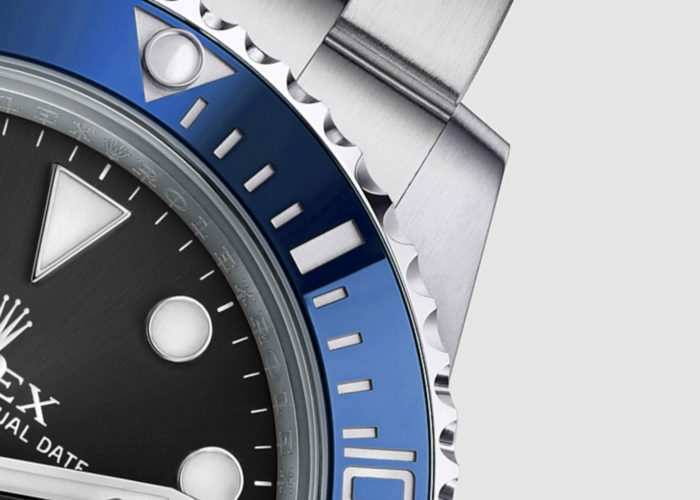 Since the mid-’80s Rolex and Tudor professional watches have used white gold surrounds to hold the luminescent material of the hour plots; it’s the clearest shift from vintage to modern, from 4 digit to 5 digit references. Its use on the P01 could signal a return to this application method, something many of us would welcome (and were fully expecting) on a watch such as the Black Bay 58. The Snowflake hands remain, along with a date aperture at 3 o’clock on the otherwise spartan dial landscape. Inside the P01 resides a Tudor built MT5612 caliber, which is a COSC certified automatic movement. It’s a new representative of the MT56XX caliber family that’s getting on a few years old now, so reliability should be a bit better understood as its lifespan continues beyond adolescence. This article will be updated with live pictures as we get them. Price is set at a very reasonable $3,950.